A mighty palate that will transport you to the base of the Himalayas on a clear day. A perfect morning tea. OK right off the bat, I have to say that I really like Teatulia. They are dedicated to environment – even to the extent of revolutionizing their packaging to eliminate waste. Just check out the homepage of their website, and you’ll see what I mean! This is a brisk, inviting breakfast tea. It starts off smooth, which leads into a slightly brisk and slightly bitter taste and recovers with a sweet finish that is almost honey-like. 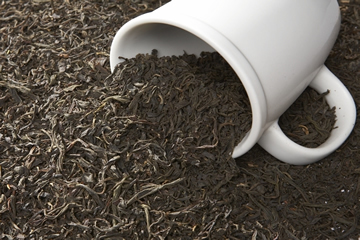 The bitterness is not strong at all, and does not interfere with the tea flavors; I think it actually enhances the tea because the sweetness seems to come through just a little bit sweeter and tastier than it might have without it. While I enjoyed this tea hot, I think it would make a very nice iced tea as well. Because of its somewhat clean and mild character it would take well to whatever additions you might like to add – from milk and honey, to flavored syrups, to just a simple slice of lemon or lime.